Seven C, a 28 m Maiora, is an Italian super yacht that is stylish and contemporary with spacious indoor and outdoor areas. 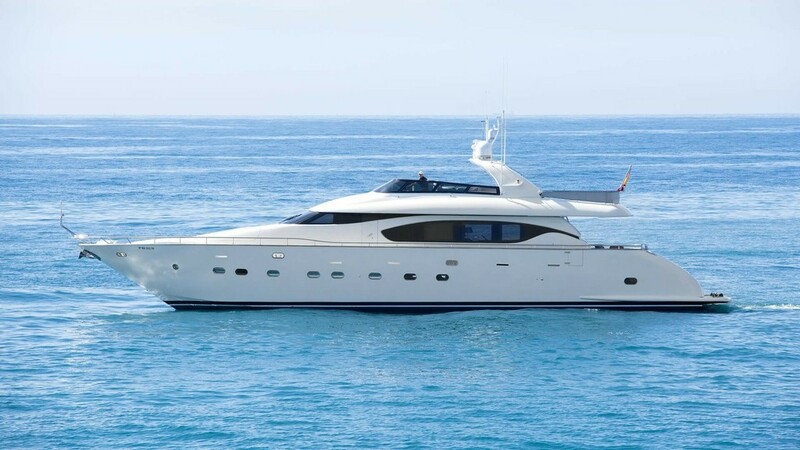 Ideal for chartering in Mallorca and the Balearic Islands. Enjoy fantastic sunsets with a cocktail on the fly bridge of this magnificent yacht. At 28 meters length, she can accommodate up to 8 guests both during the day and at night in four well appointed double cabins with en-suite facilities, two double and two twin cabins. In summer her home port is Marina Botafoch, and Barcelona during the rest of the year. Seven C has a dinghy, jet ski, two kayaks, paddle board and snorkelling gear. The crew consists of three fantastic experienced professionals, who have extensive experience sailing around the Balearic Islands.